Vlookup is a powerful function but even better but less frequently used is Index and Match. Explained are two reasons to use Index and Match over Vlookup. 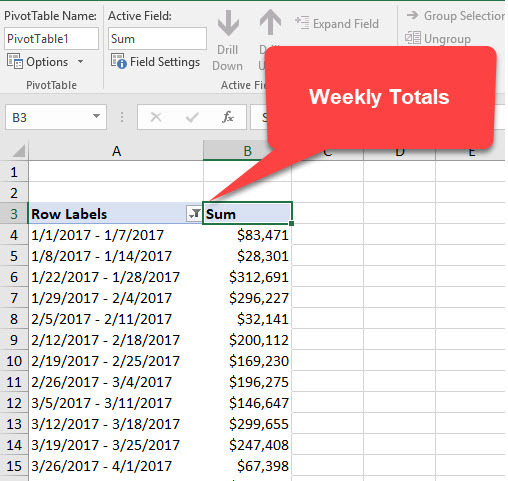 Need to calculate weekly revenue or orders in Excel? You either Vlookup or PivotTables. PivotTables have a grouping features that will calculate it. To perform vertical analysis of an income statement in Excel, take all line items and divide by the Sales. One of my MBA students asked this question. When you import data into Excel from a database, often dates and numbers will import as text. The issue is you can't analyze the data. You can use named ranges in formulas in Excel, to create a bookmark to a worksheet, and use for data validation in Excel. Chris Menard shows five examples. If you download Excel data from a database or a csv file, occasionally critical missing data will be missing. You can fix it with Go To and Ctrl + Enter. When you type in numbers in Excel, the leading zero will get dropped. Use the Text function in Excel to add back the leading zeros. If you need to select an entire row using two conditions with Conditional Formatting in Excel, you need to write a formula using the AND function.